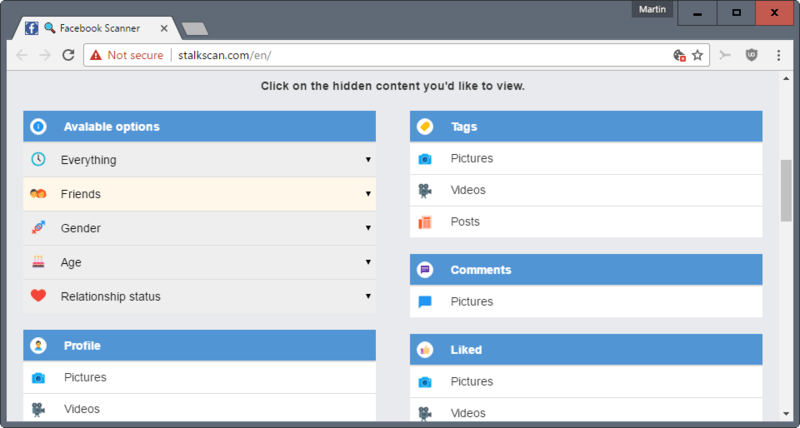 Stalkscan is a free online service that enables you to look up any Facebook user's public information using Facebook's own APIs. Facebook removed, changed, and improved privacy controls several times over the last decade. Right now, information is divided into visibility groups. These groups are: only me, friends, friends of friends, and public. Public means that anyone may view the information. Since it is relatively easy to make public posts, or have friends expose posts, images or other content to the public, it is highly suggested to be very careful before posting anything on Facebook. 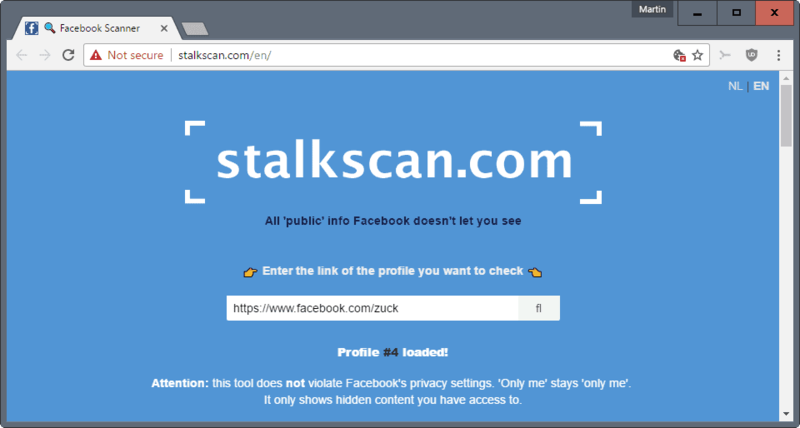 Stalkscan, a service with a rather creepy name, may be used to look up all publicly available information of any Facebook user. At least some of the data is not accessible directly on Facebook, for instance when you open a user's profile on the social networking site. Simply enter the URL of a Facebook's user profile on Stalkscan, and hit the Enter-key afterwards. The service loads the public information, and displays them sorted by groups and type on the same page. There is an options menu at the top that you may use as a filter. It enables you to filter data by time, connection status, gender, age or relationship status. Profile: Public profile information including pictures, videos, posts, groups, past and future events, games, and apps. People: Family, friends, friends of friends, co-workers, classmates and locals. Interests: Pages, political parties, religion, music, movies, books and places. Tags: Videos, pictures and posts the user tagged, or was tagged in. Comments: Comments the user posted on Facebook. Liked: Pictures, videos, or posts the user liked. Places: Places the user visited including bars, restaurants, stores, outdoors, hotels and theaters. A click on an entry opens the page on Facebook. Not all entries may reveal information. Those that do may reveal the search string used by Stalkscan to reveal the information on Facebook. One of the main applications of the service is to test your own profile to see if it leaks information that you don't want to share with the public. Anyone with access to Stalkscan or comparable services may look up the information. What you may want to do if you come across information that you want to change the visibility for is to open the content on Facebook, sign in to your account (if you are not already), and edit or remove your connection to the content. You may remove a like for instance, delete one of your comments, or change the visibility of items so that they are not publicly available anymore afterwards. If you have posted a lot on Facebook, you may also use a privacy tool that Facebook makes available to change the visibility of all posts you shared with friends of friends or the public in one go. Now You: Do you care about the visibility of your data on Facebook, or the Internet? I know I’m visible through my comments on this site and some other ones. So people might try to profile me by searching for my comments all over the place, but I don’t care too much about that. I don’t think one would find much about my personal life that way. No detailed social presence for me: both Facebook itself and the ubiquitous Facebook trackers are blocked on all my computers and in my Android phone firewall. I never in my life clicked a “like” button, not even once. No Twitter, LinkedIn, Google+ and so on. Yes, I do have a Google account with my actual name, but I took care to keep that as empty as possible and to adorn it with wrong data such as a birth date that is half a century off. If you do a search for my name, you’ll find links listed to the Facebook and Youtube and LinkedIn accounts of a handful of other people who just happen to share the very same first- and family name. Let the world think one of those guys is me. I’m happy with that! So I dare to sign my comments here with my actual name. Now it won’t even load…. You guys suceeded checking it out? You can switch to https right away if you want, both protocols are supported. I guess it’s actually beneficial for you if there are multiple people with the same name, all with different interests and opinions. Any automated service trying to create profiles would surely mix you all up, reducing the value of the profile. http://stalkscan.com/en is giving a 404 this morning. Working fine on my end, just tested again. OK, it’s working now. Minor glitch I guess. Absolutely. I do care. That’s why I’m not on Facebook. Or any “social media”. I don’t get it. I tried this with a few Facebook pages, most of the links open a new Facebook tab which says “sorry, this page is not available”. Same thing for Stalkface. Not sure on how this works, or how actually useful it is. I’d assume it gathered all Public posts together and display them, but it just links to the various FB sections/posts, whether Public or not. So, I’m just browsing through my non-public posts. Also, it seems to work only when logged it to Facebook, which kind of defeats the purpose. Site doesn’t load for me. Doesn’t work either. Like Clairvaux, it just opens new Facebook tabs that say “sorry, this page is not available”. 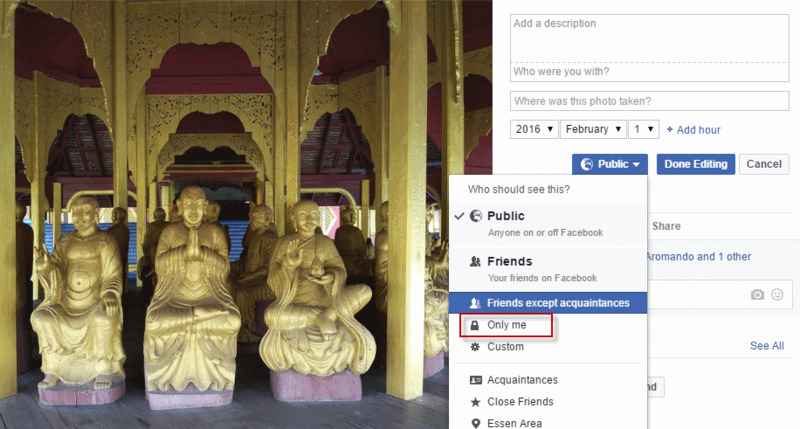 Does it require us to be connected to a Facebook account to work ? It seems that way. I just checked again, and Facebook seems to throw the “not available” notification when you are not signed in to an account. StalkFace supports Facebook photos URLs for get the Facebook profile and hidden photos, stories and more!